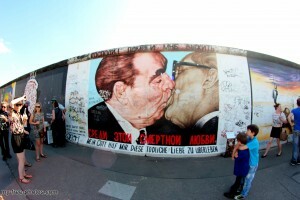 Next time you’re in Berlin, make sure the East Side Gallery is on your list of places to see. 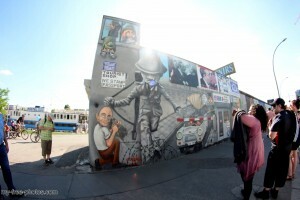 The East Side Gallery in Berlin is the longest section of the Berlin Wall still standing, covered with paintings and murals. The Berlin Wall East Side Gallery is a 1.3km-long section of the wall near the center of Berlin (Address: Mühlenstraße, 10243 Berlin). Approximately 106 art by artists from all over the world cover this commemorative for freedom and allow it to become the largest open air gallery in the world. In 1989, hundreds of artists from all over the world, among them Keith Haring, came to Berlin to help transform the grubby and gray walls into a piece of art. 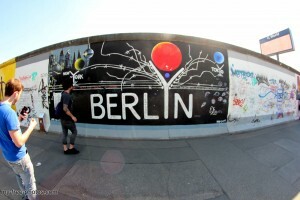 Seeing the remains of the Berlin Wall contained in the East Side Gallery is a must-do for any visitors to this awesome city! It’s part of all the sightseeing bus tours, in case you’re not brave enough to find it yourself. This blocks-long section of the Wall is broken up into hundreds of different murals and painting done by artists from around the world. They’re all in great condition, and the area is cordoned off, along with some “official” explanations, so you can get all the pictures and info you want. The Gallery is definitely a unique experience, and really gives you an idea of the immense scale of the Wall. You don’t want to miss it. I am a lover of street art and this is just about as good as it gets. 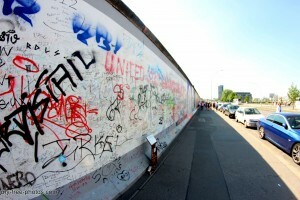 Why would someone come to Berlin and not see the wall? I mean, it’s THE wall. Sure, there are remnants of the old Mauer scattered throughout Berlin, but this is the absolute best section. Covered in some of the world’s most amazing street murals, it’s history and art all rolled up into one, long, reach-out-and-touch-it package. 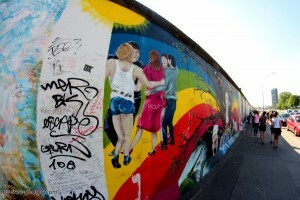 Flanked on both ends by U-Bahn stations, the East Side Gallery is easily accessible, so there are no excuses not to visit. So come down, enjoy a leisurely stroll, and enjoy some great, political art. 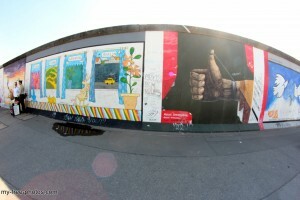 This entry was posted in Germany and tagged 10243 Berlin, Berlin Wall, East Side Gallery, Gallery, Keith Haring, Mühlenstraße on July 23, 2013 by Berlinmc5.